Rich Casino has two treats for players this month. 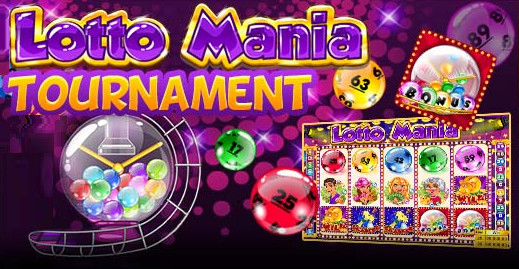 They have launched a new slots game, Lotto Mania, and are running a Lotto Mania tournament with $25,000 of prizes to be won. Rich Casino has begun the month by launching a new game and running a tournament with $25,000 of prizes up for grabs. Lotto Mania is a 25 line slot game featuring a bonus game, scatter and wild symbols and loads of fun ways to win. The bonus game, Spin to Win, is triggered by spinning three or more bonus symbols on an active payline. In the bonus game players press a button to get some balls spinning, each click of the button releases one ball to the player, the player then wins the value of the ball that was released. Aside from the bonus game there are the usual high and low paying symbol combinations available and of course the scatter and wild symbols will help boost your chances of winning. To celebrate the launch of the game Rich casino is running a Lotto Mania Tournament, first prize in the tournament is $12,500 so it is worth registering to start playing today.